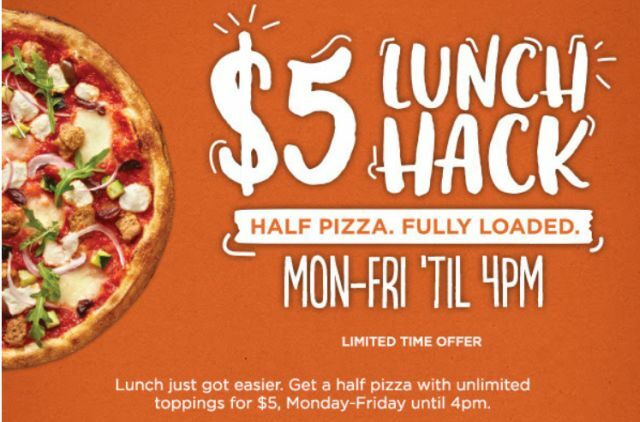 Calling it the "$5 Lunch Hack," Blaze Pizza is running a limited-time special at participating locations where you can get half a pizza with as many toppings as you like for $5 on Mondays through Fridays until 4 PM. 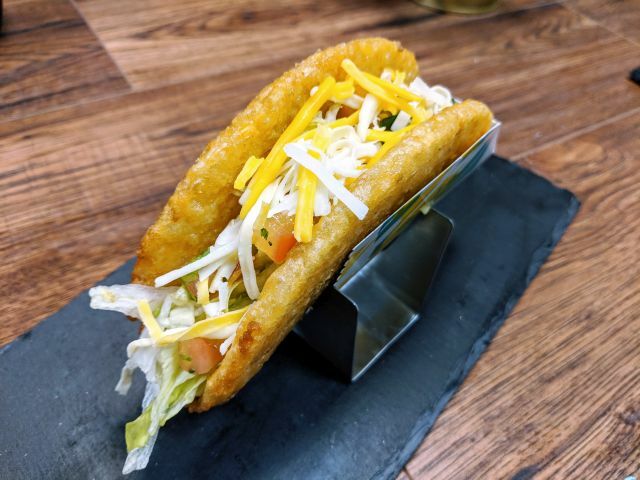 The lunch-time deal is only good for in-restaurant orders only (you can't order it online or for delivery). Interestingly, they cut the pizza crust in half before topping or baking it. 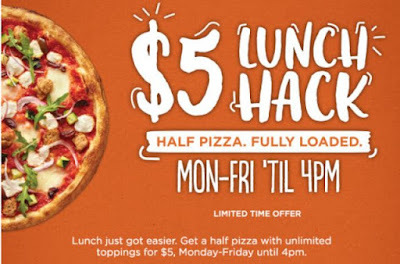 A full pizza with unlimited toppings normally goes for $8 or so (varying with location).